What's more fun than dolls playing and having fun together? 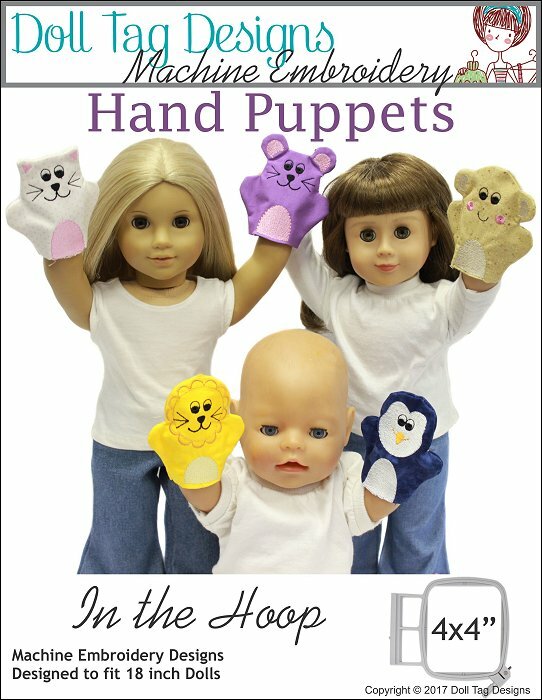 These puppets are adorable and fit comfortably over the doll’s hand. The best part is they all come out the same size. Dolls shown in the photos are South African Girl Doll®, American Girl® and Baby Born by Zapf®. Embroider 5 Hand Puppets in the Hoop - 4x4". 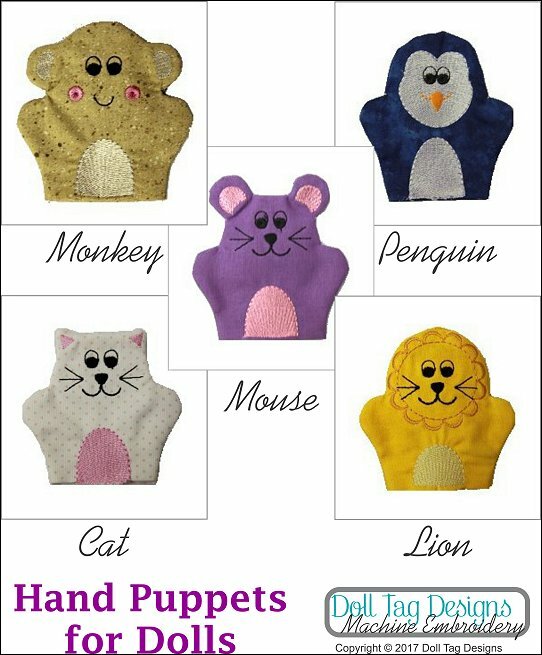 Puppets include: Mouse, Lion, Cat, Monkey and Penguin. Construction is done in the hoop with 1 Hooping. Once complete, turn and play! 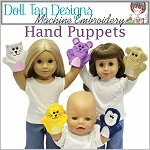 Hand Puppets - Machine Embroidery comes with the following format(s) and is an instantly download after checking out.